Auburn University College of Veterinary Medicine second-year students Jonathan Tubbs and Sofia Castello have been awarded Auxiliary to the American Veterinary Medical Association Legacy Endowed Scholarships by the American Veterinary Medical Foundation. Two students from each of the AVMA-accredited schools in the United States, Canada and the Caribbean with Student AVMA, or SAVMA, chapters were selected to receive these $1,000 scholarships. Tubbs and Castello said that winning the scholarship will help them as they plan for the future by reducing the amount of their student loans. “This is much appreciated and it will help keep my accrued interest amount lower than it would be otherwise,” Tubbs said. The AVMA Auxiliary is a non-profit organization dedicated to promoting the veterinary medical profession in a variety of ways, including through education and financial support. In 1921, the Auxiliary to the AVMA founded a veterinary student loan that successfully raised money to assist veterinary medical students. Together, the AVMF and the Auxiliary converted that program into an endowed student scholarship in 2013. The Auxiliary to the AVMA Legacy Endowed Scholarship is awarded to students who display financial need and are in their second or third years at an AVMA-accredited veterinary medical school. To qualify for the scholarship, students must be members of SAVMA, maintain a minimum GPA of 2.5, and hold a leadership position. Jasper, Alabama, native Jonathan Tubbs completed an undergraduate degree in education at Western Kentucky University and a master’s degree in education at the University of Kentucky prior to being accepted to the College of Veterinary Medicine. 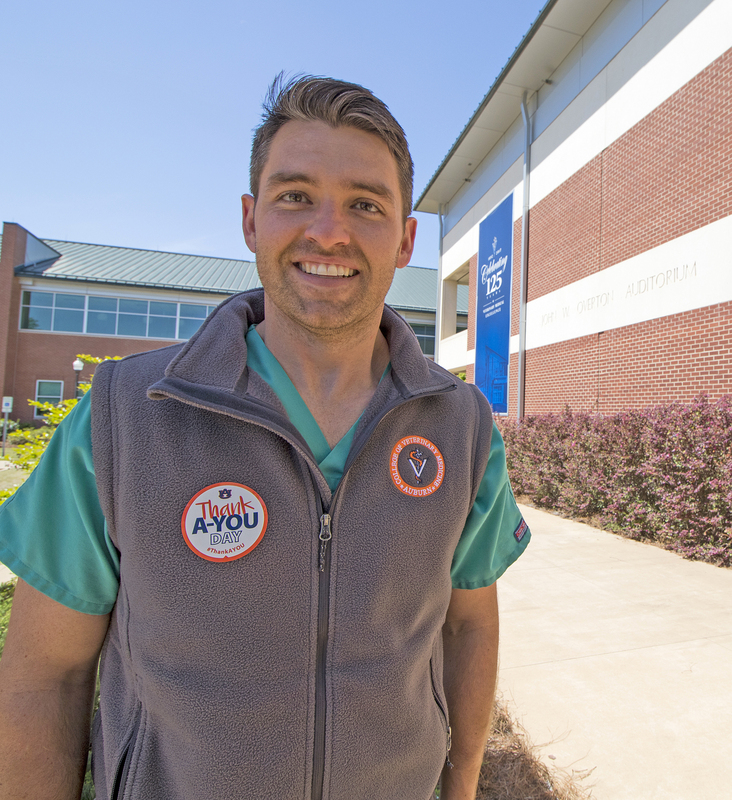 Tubbs’ father, Dr. Rick Tubbs ’83, an Auburn Vet Med alumnus, owns a veterinary practice and operates a swine veterinary research unit. 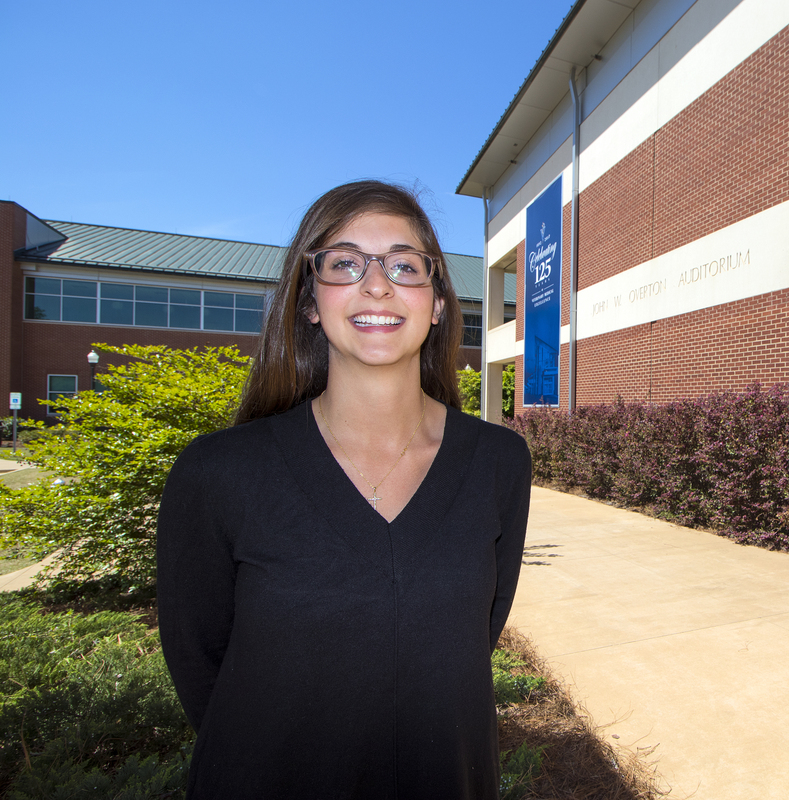 Sofia Castello, from Spanish Fort, Alabama, earned her undergraduate degree in integrative biology from Auburn. Like Tubbs, her interest in veterinary medicine began at a young age. Castello’s professional interests are in small animal veterinary medicine, but she says she has hopes of one day having her own mixed animal practice. Tubbs and Castello exemplify the Auburn Creed’s theme of “hard work” while excelling academically and contributing to their communities.